Save Ferris don’t break the mold, but they do add a few extra layers. 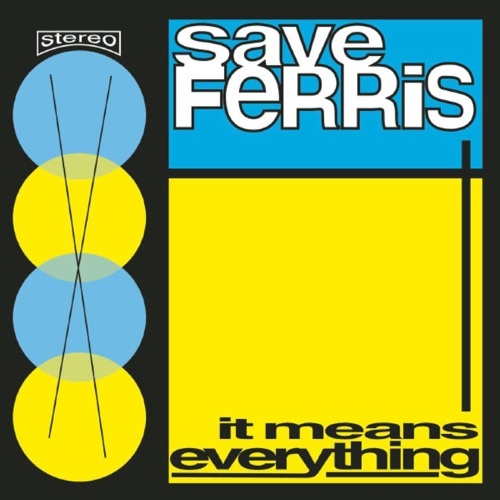 The debut Save Ferris album It Means Everything is everything you know and love/hate about 90s ska-punk. The snappy snare, the upstroke guitar lines, the energetic horn stabs - all the hallmarks of the familiar 90s sound utilized by early No Doubt, The Mighty Mighty Bosstones, Reel Big Fish and others. Save Ferris don’t break the mold, but they do add a few extra layers, inserting a distorted guitar from time to time, as well as taking advantage of Monique Powell’s pipes to slow down the tempos into classic reggae and dub influenced grooves. Neither of us are ska punk aficionados, or really fans for that matter, but did Save Ferris win us over? Tune in to find out.